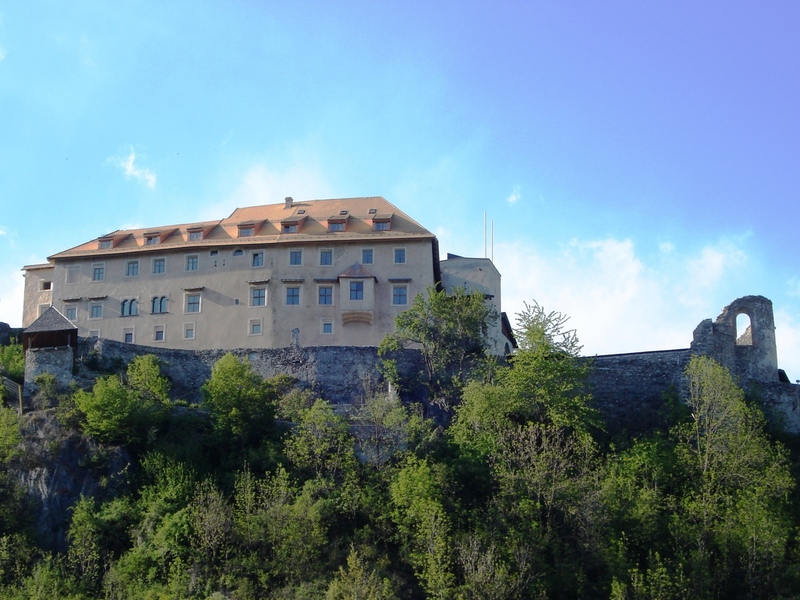 The impressive castle that is enthroned above St. Lorenzen in Pustertal looks back on an eventful history – and on a quite grandiose career from a knight’s castle to a luxury hotel. The imposing castle rises exactly there, where the river Gader of the homonymous valley ends in the Rienz, the main stream of the Pustertal. However for a long time it wasn’t a well-fortified fortress or a noble knight’s, but a monastery with many myths and legends. Today the time-honored walling houses a luxurious hotel. In spite of extensive renovations the castle has preserved a large part of its medieval charm. Thick walls and artful arches, gothic corridors, boarded snuggeries and precious ceiling frescos, the flowery decorated courtyard and the crypt with worth seeing Romanesque paintings forebode how chevaliers and nun once lived. A special attraction is also the abbess’ herb garden, which was re-erected next to the curtain wall on the south side, comprising about 200 medicinal herb of the tradition of Hildegard of Bingen. About 1,000 years ago Otwin, the earl of Lurn and Pustertal passed the so called “Suanapurc” on to his son Volkhold. But he didn’t keep hold of the castle, but turned it quickly into a Benedictine cloister. Volkhold henceforth lived as anchorite and the monastery, which was high in commodities and rights, evolved into a reputable convent, joined mainly by noble ladies. Some tales of that time assert that the nuns – used to have comfort and enjoyments – didn’t want to stick to the strict rules of enclosure, fast etc. For this reason in the 15th century the abbess Verena of Stuben clashed with Nikolaus Cusanus, bishop of Brixen and in the end the abbess was excommunicated by the pope. In 1785 the monastery near St. Lorenzen was closed and meantime Sonnenburg Castle was used as military hospital and poorhouse. Finally the castle began to decay, but the businessman Karl Knötig bought it up. He carefully rebuilt it and in 1974 he opened it as four-star hotel. Since then Sonnenburg Castle offers 38 individually furnished rooms and suites, an excellent restaurant with noble premises, a swimming pool in the rock cellar and of course many mystic corners. On request there are organized also guided tours.